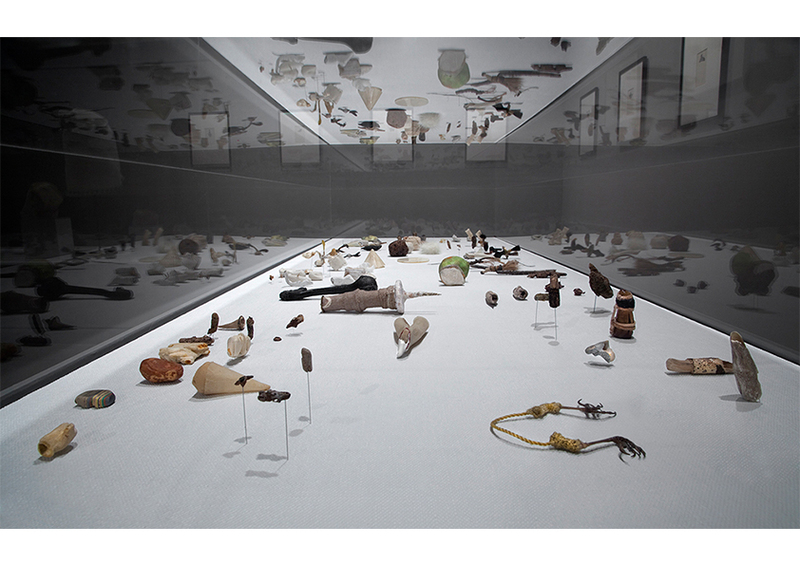 Alisha Wessler's work explores hybrid objects, their narrative potential and taxonomic slippage. The drawings and objects she makes occupy the indeterminate realm between reality and dream, nature and artifice. Characterized by alchemy-like processes, Wessler manipulates a variety of found materials in intricate processes that rely on time and experimentation: drawings resembling the structure of lace, miniature sculptures including embroidered bird feet, meticulously carved thorns, a tower-like structure encrusted with crystallized salt, or masks sewn from cloth and anointed with mud. Wessler is interested in tapping into uncanny territory, where the familiar commingles with the unknown, strange and often foreboding. Alisha Wessler (b. 1983) lives and works in New York City. She holds a BFA from the School of the Art Institute of Chicago, and an MFA from the University of Michigan, where she also received a Certificate in Museum Studies. She has participated in the MeetFactory Residency (Prague, Czech Republic), the Artist in the Marketplace (AIM) program at the the Bronx Museum of the Arts, and the Winter Workspace Residency at Wave Hill (Bronx, NY). She has exhibited nationally and internationally, most recently at Smack Mellon (Brooklyn, NY) where her work was reviewed in Hyperallergic.